2 images. A-bomb films arrive, 22 April 1952. 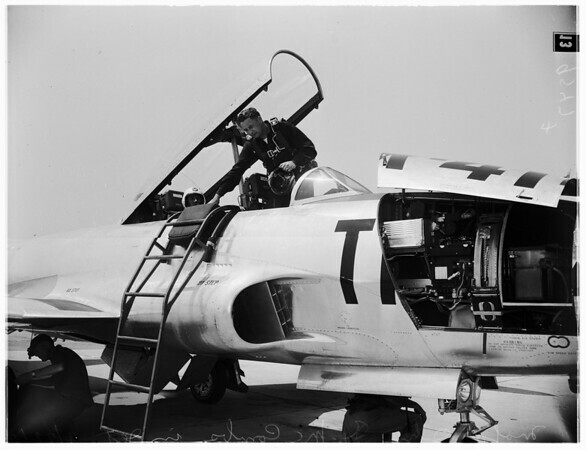 Major John R. McCombs (out of plane arrives with films in Jet T-33).